Dekmantel’s smaller, more intimate sister event Lente Kabinet returns this summer with the likes of Helena Hauff, The Black Madonna, Mr Scruff and Dekmantel regulars Palms Trax, Antal and Objekt all locked in. 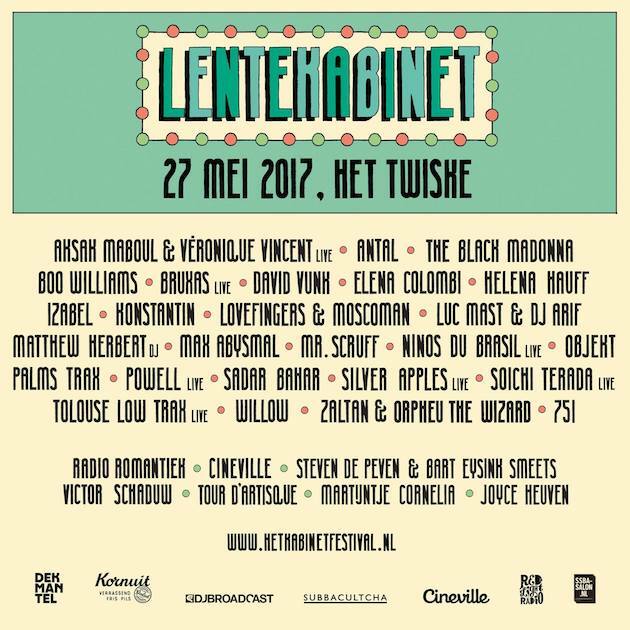 Lente Kabinet is a one-day event on Saturday 27th May, taking place in Het Twiske, Amsterdam and featues a meticulously programmed day of DJs and live acts, from relative unknowns to some of the underground's biggest names. The festival's arts program is also an important part of Lente Kabinet's allure, providing a pleasant balance between the aural and visual. Next to the big hitters, Lente Kabinet has locked in a lot of homegrown talent including NTS Radio host Elena Colombi, Willow, and Dutchies Bruxas, Max Abysmal, and 751. Tickets go on sale from today and can be bought here.